Plants for the home (houseplants) and gardening has long been an enjoyable and rewarding hobby – for centuries in fact. However, during the Victorian era, gardens and plants really came into their own. Many of the wonderful heirloom plants like the Kentia palm from this time period are overlooked as people look for the newest and best plants each year. Why not bring a few of these tried and true classics into your life? These indoor plants were very tough and durable. While the Victorians filled entire conservatories with wonderful exotic plants, most of us have more a more limited gardening space. Fortunately, there are may heirloom plants that can fit easily on a window sill. If your passion for plants outgrows your available space, you can always add a portable plant shelf to your window. One classic plant that has been popular for over a hundred years is the Boston fern. This evergreen foliage plant (fern) is easy to care for and is regaining popularity with today’s window gardeners. 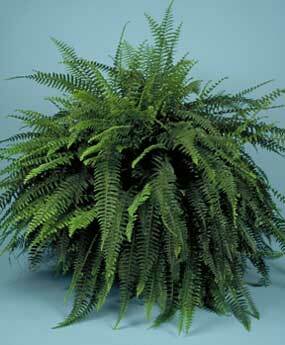 To grow a healthy Boston fern, you will need a window that receives some light but does not get direct sunlight. You will also need a sturdy plant hook, a decorative hanging pot that is an inch bigger than the pot your Boston fern came in, and some fresh potting soil. Transfer your Boston fern to the new pot and fill in the area around the plant with your fresh potting soil. Then, firm the soil around the plant and water the plant thoroughly to remove any air pockets. Next, install the plant hook on your window frame. Be sure you follow manufacturer instructions, as a pot filled with damp dirt can be quite heavy and you donít want the plant to come crashing down. Now, you are ready to hang your pot on the hook. To care for the plant, simply, water it when it is dry and be sure to rotate the hanging pot occasionally to help the Boston fern grow evenly. Is the thought of cleaning up all the tiny leaves that a Boston fern sheds is a bit too much for you? If so, you may want to take a look at another classic hanging plant, the spider plant. These hardy plants are available with either solid green or green and white striped foliage. Keep these plants looking sleek by removing the runners and baby plants or let the babies keep growing to give your spider plants a more flowing and graceful appearance. You should transplant your spider plant before hanging it. Another wonderful classic is the cactus like the night blooming cereus. It is no wonder that these fascinating plants have been prized by collectors for many years. They come in so many shapes and sizes. Although one or two cactus plants look a bit lonely when they are perched on the window sill in tiny pots, a grouping of five or seven cactus is quite eye catching. To make caring for your cactus simple, you can repot them into one big rectangular planter that runs the width of your windowsill. For the best results, use a potting mix formulated just for cactus plants. Just remember that, unlike other plants, cactus do not need frequent watering. 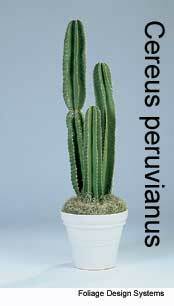 In fact, over-watering is the most common cause of cactus death. When you are looking for classic plants for your window sill, don’t overlook spider plant care which is easy, or the simple African violet care. This plant has velvety rounded leaves and the center is covered in a mound of small flowers. Through the years, African violet fanciers have developed many different hybrids, including plants with double flowers and plants with spotted foliage. Why not group five or so different African violet plants together on a window sill that gets little direct sunlight to create an old fashioned indoor flower garden that is easy to care for. If your window sill can’t hold any more flowers, you can always continue gardening directly outside your window with a window box filled with another wonderful classic plant, the geranium. Geraniums are grown as annuals in most parts of the United States, which means that they do not last through the cold winter months unless they are overwintered indoors. Geraniums come in many colors and scents, but the original bright red geranium is so bright and cheery that it is still a favorite for many gardeners. Once you try a few of these classic plants, you may wonder why people get so excited about new varieties. After all, just like a classic Porsche, classic plants never go out of style.